Dunellen is a small borough of around 7,300. It occupies an area of only 1.048 square miles, so it is very densely populated. This leads to a higher rate of crime, especially property crime, than most of New Jersey. The rate of burglary is close to the national average, and the rate of theft is higher than the national average. 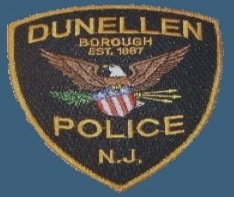 Dunellen also has two very busy local roads (North Avenue and Washington Avenue), which are routinely patrolled by police. The attorneys of LS&P Lawyers are dedicated to representing individuals charged in the Dunellen Municipal Court. Our team is comprised of experienced and knowledgeable attorneys who have represented hundreds of individuals charged with criminal, DWI, and traffic offenses. Individuals that are arrested for DWI in Dunellen are subject to N.J.S.A. 39:4-50. A conviction for driving while intoxicated will have serious consequences on your everyday life. Penalties may include a suspended drivers license, fines, fees, jail time, and a criminal record. If you have been arrested or charged with a disorderly persons offense such as possession of less than 50 grams of marijuana or disorderly conduct in Dunellen contact us for a free consultation. The best defense you could have is an experienced attorney on your side. Reach us 24/7 at 908-709-0500. We are located at 123 North Union Ave in Cranford, NJ 07016. You can be certain that the lawyers of LS&P Lawyers will put in the work your case deserves.